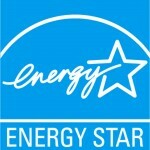 Many of our windows are designed to meet ENERGY STAR® qualifications. Additionally we consider many factors when determining the right windows for your home (geographic location, home design and site orientation, to name a few). We then tailor the components of your energy-efficient windows (glass coating, frame design, spacers and gas fill) to produce a window ideally suited for your home.